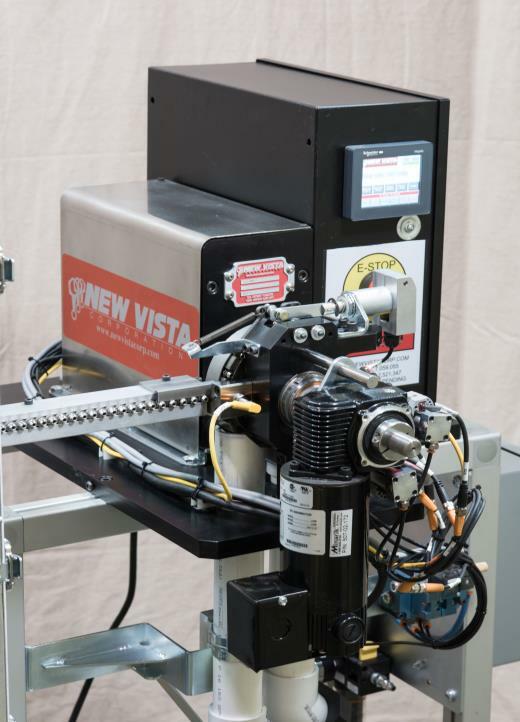 High-output thread-verification system for tire valve componentry. Supplied by vibratory feeding system. 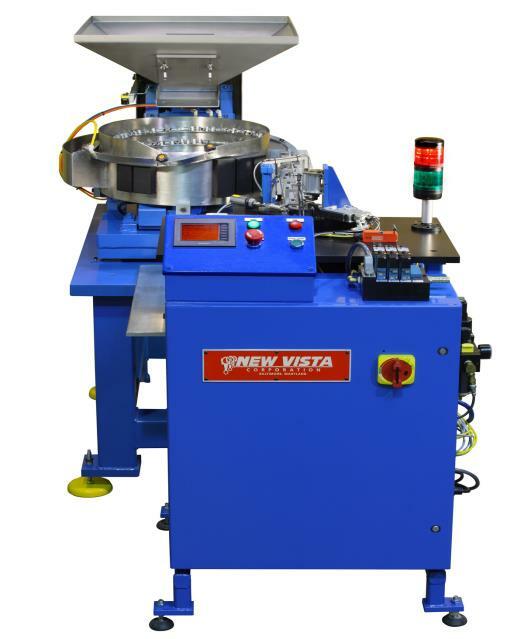 Equipped with New Vista ‘Safety Indexer’ and quick-change index wheels. Good parts and reject parts go down separate tubes. Automatically inspects threaded features in parts. Rejects are automatically sorted out. Indexing wheel transfers part from load-in to various inspection positions. Good parts and rejects are chuted away separately. Throughputs to 14,400 parts per hour (four parts up). Checks threaded holes (or external threads) by powering a Thread Gage Member into (or onto) the part. “GO” gaging, “NO GO” gaging, and combination gaging are all possible. Sensitive high speed drive causes the spindles to stop in case of missing, short or improperly formed threads. This creates a “reject” signal. Will check blind holes accurately for thread depth. Will not jam or stick in undersize (reject) threads. Rejects are separated out without stopping the process. Does not subject the part (or the spindle) to high force or torque levels…even with a reject. 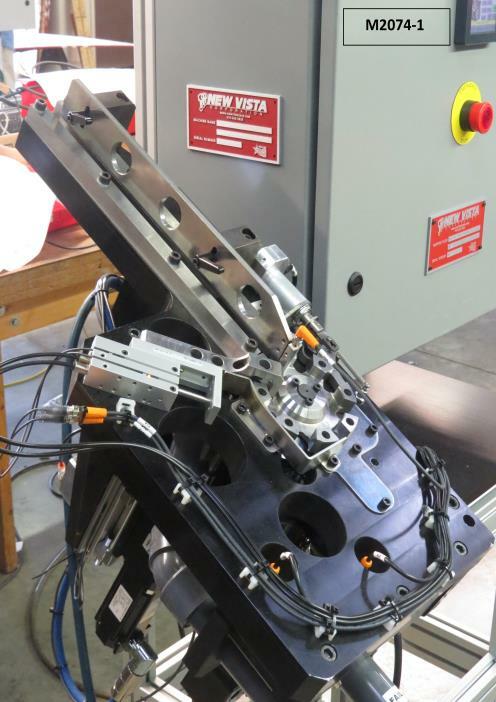 Multispindle Stations are available for multiple parts or multiple centers work. 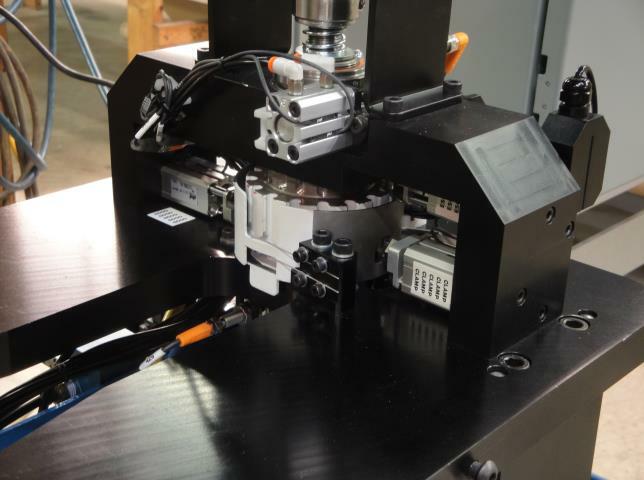 Automatic gaging of non-threaded features can be incorporated in. 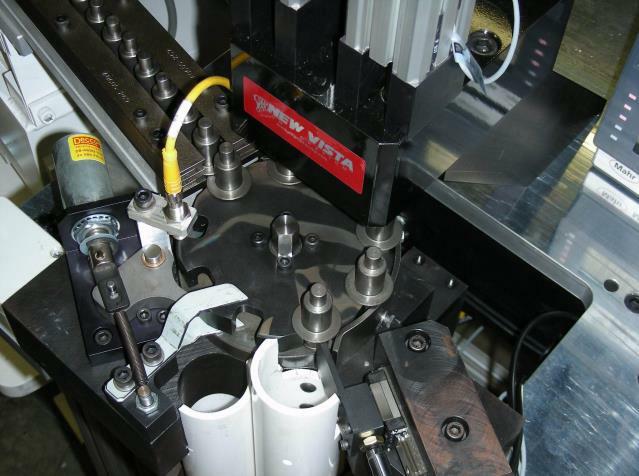 Thread inspection at the various index positions is accomplished through the use of standard New Vista Thread-Verification Units (TVUs), or standard New Vista FLX Thread-Verification Spindles arranged in clusters. The index wheel (dial plate) is at the center of the photo. The Thread-Verification Unit is not visible here; it feeds up, from underneath. This IND handles five different part numbers. It has been in production for many years. IND-STH verifying M14 threads in automotive sensor bosses. Gear Blanks, for power seat mechanisms. 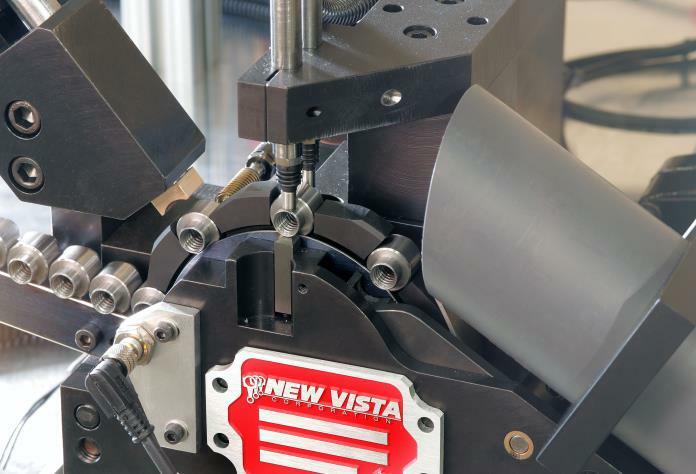 The New Vista IND verifies the multi-start thread and measures the two trunnion-end diameters. Supplied by in-process feed tube. Good parts tube discharges parts in correct orientation for next process step.